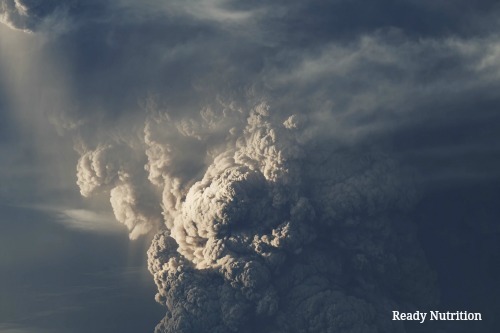 Our most recent article about the most recent minor eruptions at Yellowstone briefly touched on the mitigation process this type of disaster entails and the evacuation efforts that would need to be made for millions before a supervolcano were to erupt. This brings to mind an even greater question of how the world governments would be able to feed and care for citizens without the help of the sun. Following a massive volcanic eruption, and especially in the case of a supervolcano erupting, the eruption would blast 240 cubic miles of rock, dust and volcanic ash into the sky. This would spread throughout the world and lower global temperatures by up to 28 degrees for years and cause what scientists refer to as volcanic winter. Due to the debris and ash spewing into the atmosphere, the sun will be blocked, and crops would not be able to grow. As a result, this would cause worldwide famine. Additionally, abnormal rainfall will cause major rivers around the world to flood. In 1816, a similar situation arose when the world experienced a decrease in global temperatures caused by a volcanic eruption and caused major food shortages and famine. The anomaly was predominantly due to a volcanic winter event caused by the massive 1815 eruption of Mount Tambora in the Dutch East Indies. This event was exacerbated by a previous eruption in 1814 of Mayon in the Philippines. Adding to this dire time, the world was already in a centuries-long period of global cooling that began in the 14th century, and the volcanic eruptions in the early 1800’s only added to the agricultural distress in Europe. Failed harvests were widespread and deeply felt. To prevent history from repeating itself, scientists have been searching for ways to feed the world without the help of the sun. “At least two scientists have already sketched out a blueprint. 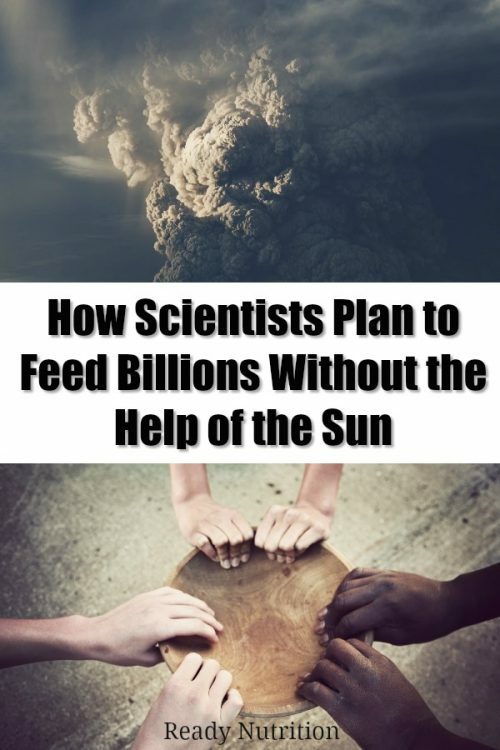 In their 2015 book Feeding Everyone No Matter What, David Denkenberger and Joshua Pearce propose several ways to feed billions of people without the help of the sun. Indeed, people could grow mushrooms on leaf litter and on the trunks of trees killed by the disaster, Denkenberger says. Even better would be raising methane-digesting bacteria on diets of natural gas, or converting the cellulose in plant biomass to sugar, a process already used to make biofuel. Denkenberger and Pearce—an engineering professor at Michigan Technological University in Houghton—calculate that by retrofitting existing industrial plants, survivors of the catastrophe could produce enough of such alternative foods to feed the world’s population several times over. Of course, a few other ingredients would have to survive as well: infrastructure, international cooperation, and the rule of law. Whether human society endures or snaps is the unknown on which everything else could hinge, says Seth Baum, executive director of the Global Catastrophic Risk Institute in New York City, a nonprofit think tank whose researchers include Denkenberger. ‘How would we fare? I think the only reasonable answer one can give to the question at this time is that we have absolutely no idea,’ Baum says. To him, social resilience after a catastrophe is just another question for scientists to address, instead of leaving it to dystopian writers and doomsday preppers. Fortunately, there are scientists and teams of individuals looking out for the human population and finding ways to keep us alive during the worst possible circumstances. 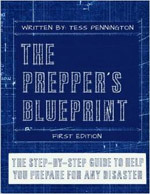 But, as Seth Baum remarked in reference to preppers and survivalists, it is a relief knowing there are people out there doing stuff to get ready and are preparing for the worst-case scenario.